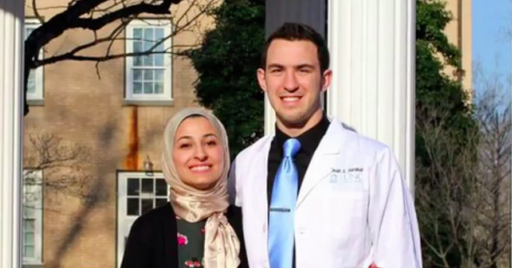 For hours, no national media outlet reported the story, provoking the hashtag #ChapelHillShooting, which soon trended worldwide. Finally, after midnight, Buzzfeed became the first national outlet to report on the killings. Also, an apparent Amazon wishlist for “Craig Hicks” shows off a variety of armaments, including sniper scopes and a ghillie suit – a kinf of camouflage suit. As the Muslim community in the area mourns, they’ve set up the Facebook page “Our Three Winners” to commemorate the lives of the three young souls taken from them far too soon.